Once Upon a Twilight! : #Houston Enter To Win Family 4-Pack To #ChristmasCarolHOU at the Alley Theatre! #Houston Enter To Win Family 4-Pack To #ChristmasCarolHOU at the Alley Theatre! 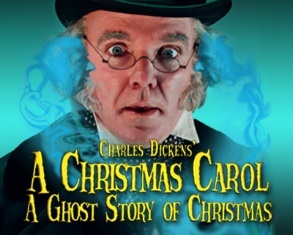 Alley Theatre presents the 28th production of A Christmas Carol – A Ghost Story of Christmas, by Charles Dickens, adapted and originally directed by Michael Wilson and directed by James Black. Michael Wilson’s adaptation of A Christmas Carol is a re-telling of Charles Dickens’ classic story, which follows Ebenezer Scrooge’s journey with the three ghostly spirits that visit him on Christmas Eve. A Christmas Carol instills a powerful message about redemption and the spirit of the holiday season. Family audiences can enjoy this colorful, comical, and music-filled production. Magical and heartwarming, this unforgettable theatrical production of A Christmas Carol - A Ghost Story of Christmas instills a powerful message about redemption and the true spirit of the holiday season. One winner will receive a certificate valid for four complimentary tickets to one of the performances times listed for A CHRISTMAS CAROL. Winner must choose from the dates listed and call the box office two days in advance of their selected performance date. Tickets are subject to availability. Winner will be mailed the certificate and must present the original certificate in person at the box office. A Christmas Carol is one of my favorite Christmas Classics! I am lucky enough to live in Texas within driving distance so it would be so cool to have the chance to go watch this production.